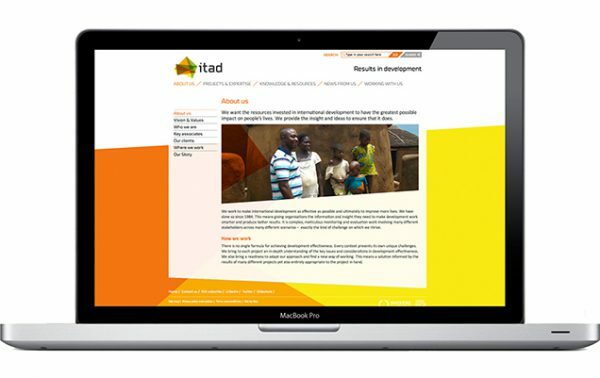 Itad is a technical organisation but we wanted to show the human impact of what they do – their effectiveness beyond the numbers. 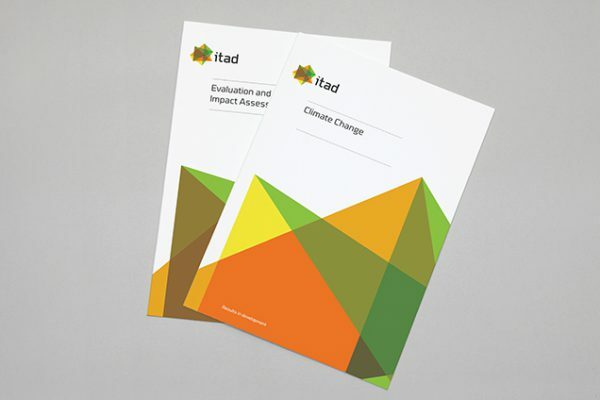 Itad are what’s known as a second tier organisation, which is a pretty dull name for organisations that are actually doing really interesting work within the third sector. They’re the organisations that make the work of front-line organisations even better, providing the support, structures and skills needed to maximise the impact of those doing the delivery. We’ve worked on rebrands for number of second tier organisations, all doing admirable work to make lives better but all previously hesitant to lead with this because they weren’t on the ground doing the doing. The result was communications that focused a great deal on what the organisation did – the delivery – but not much about why this mattered or the positive impact they were having. 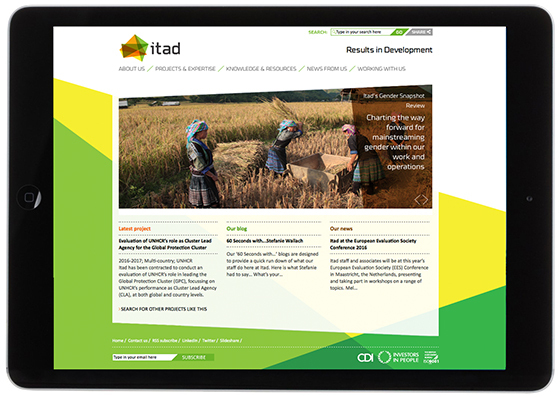 This was the case with Itad – a respected M&E (monitoring and evaluation) consultancy that measures the effectiveness of international development work. It’s made up of a network of really smart people doing interesting work all across the world to make international development projects work even more effectively and ultimately improve more lives. 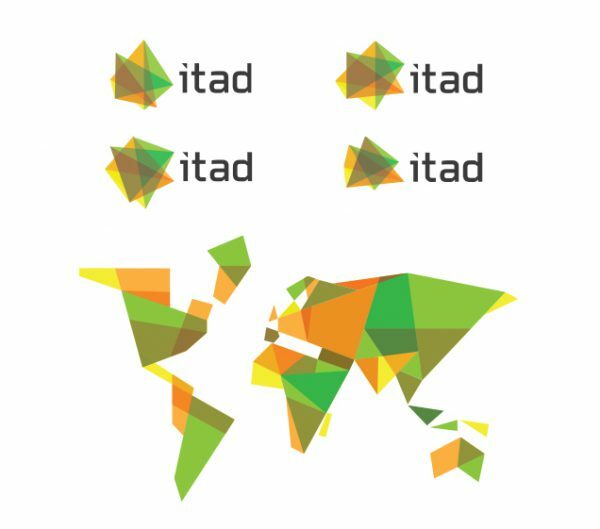 Yet none of this purpose – or the energy and dynamism of the people working there – was reflected in the Itad brand. It’s not the case that just because your organisation is a step removed from the change it’s helping create in the world, your brand should be. It’s here the interesting stories lie and where you can begin to build a brand that has heart and soul in the often dry world of second tier organisation. This was exactly what we set out to achieve with Itad. To move them away from a focus on delivery to a focus on the end benefit – from the ‘how’ to the ‘why’ – giving them a brand that showed then to be in touch with the real world in which their organisation ultimately has an impact. More human, more conversational, more connected to the ultimate impact of their work. That said, we didn’t want to neglect the more analytical aspect of Itad’s work. In fact, we made it an integral part of their new brand by developing a dynamic logo that changes shape based on real-time data it receives from the consultants working out in the field – project type, location and specialism. In the highly technical field of M&E, Itad are able to stand out with a brand that shows the human impact of what they do – their effectiveness beyond the numbers. But they’ve done so without losing the technical rigour that they were known for. This refocused brand has brought benefits beyond this quite fundamental shift in positioning – uniting employees around a common purpose and strong identity, and bringing consistency and efficiency to their communications. Second tier organisations are different to frontline organisations. Their audiences and routes to them are different. But having a brand that’s built on your organisation’s ultimate purpose – rather than process for getting there – makes for more meaningful conversations with the people that matter.